"I TOTALLY HAVE ABS NOW!" Is personal training your secondary career? What are the best adjustable dumbbells on the market? Do you feel that reality shows based on nutrition/exercise/fitness/weight loss gives a fair (accurate) portrait of our industry? 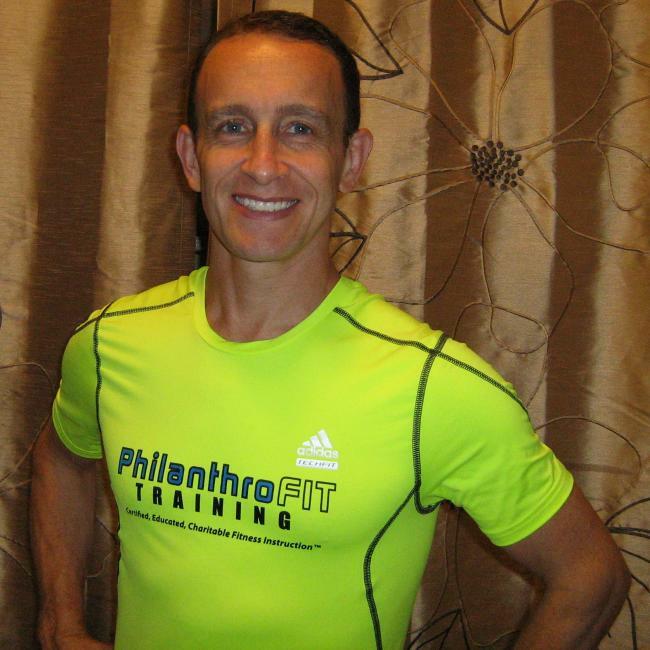 At PhilanthroFIT we aim to bring out the very best in our clients. Likewise, we want to bring out the best in ourselves. That is why we donate a percentage of EVERY service purchased to one of our partner charities. We believe there is more to training than working hard. Training needs to be smart. We provide educated, results oriented training programs based on sound scientific principles. We look forward to the opportunity to help you accomplish all of your fitness related goals. Ironman and 1/2 Ironman triathlon finisher, 14 marathons, 2 ultramarathons, countless adventure races.